As content becomes increasingly important in the sales cycle, sales and marketing teams must have a shared understanding of what the buyer needs every step of the way. Yet sales and marketing often have different views of what a buyer needs and when. The way marketers approach content typically isn’t the way sales teams consume it. Sometimes the ideal piece of content is at the ready, but sales doesn’t know where to look. Sales and marketing leaders across every industry need to find ways to facilitate building customer relationships. 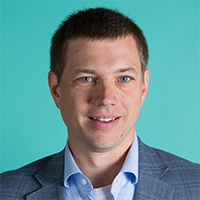 Robert Wahbe is co-founder and CEO of Highspot. Previously, he was Corporate Vice President of Marketing for the Server and Tools Division at Microsoft. He oversaw worldwide product and business management including product planning, pricing, packaging, branding and advertising, as well as sales integration and working with the partner ecosystem. Prior to that, he led the Connected Systems Division, which was responsible for the distributed computing platform and tools in Windows Server. Before Microsoft, Robert was co-founder and CEO of Colusa. Colusa provided a cross-language virtual machine that provided secure execution within systems such as databases and operating systems. Colusa was acquired by Microsoft. David Stafford is the head of revenue solutions and field marketing for Dropbox in the Americas. In this capacity, he is responsible for defining strategies to help customers achieve success in the areas of collaboration, employee creativity, and productivity. 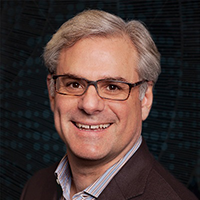 Prior to Dropbox, David spent five years at VMware as Director of End User Computing and 15 years advancing enterprise IT at industry leaders including Cisco Systems and Dow Corning.